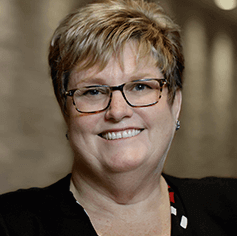 Cindi has 10 years of experience in nonprofit fundraising administration with targeted expertise in handling multiple tasks for leadership departments and support for a varied client base. She is a consummate juggler of tasks and priorities and creates a baseline for success for others to follow. Her expertise includes prospect and data management, client relations, corporate organization and implementation of programs. She has the rare ability to anticipate, develop, and implement processes for time and cost benefits. Her strengths include setting priorities, administering projects and managing information collection and dissemination in a conscientious manner. She established her career in association management and event planning and then brought her experience to both religious and pharmaceutical organizations before landing in the nonprofit fundraising consulting sector. Cindi is committed to both anticipating and responding to the needs of the organizations that we serve. Cindi earned her associate’s degree from Orange Coast College and studied psychology at San Francisco State University.